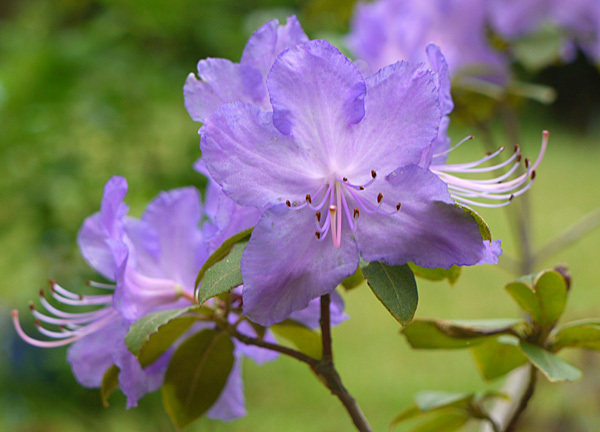 The mid-season Rhododendrons in the Moosey Garden are now in full, fruity bloom, so I've sent Non-Gardening Partner around to take photographs with his camera. 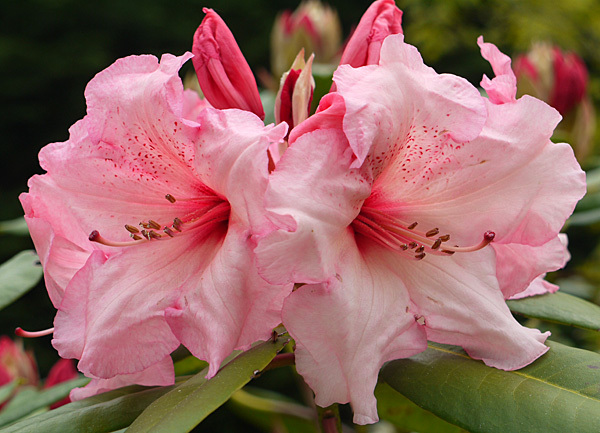 I'm thinking fresh eyes, a better camera - a rhododendron innocent let loose, who might even fiddle with the focus. When en route to some needy part of the garden my camera sits nervously in the wheelbarrow with the other garden tools. Sometimes I hang it up in a tree - a so-called safe place, away from the grubby dirt. Then I wander off and forget it. Oops. But Non-Gardening Partner is a good bloke, and as such is well-suited to doing one task at a time and doing it well. He has a better (well, bigger and newer) camera than mine. 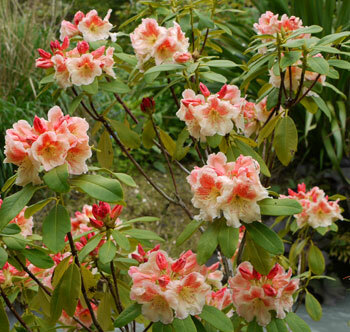 And he can recognise a rhododendron (this is a good thing). 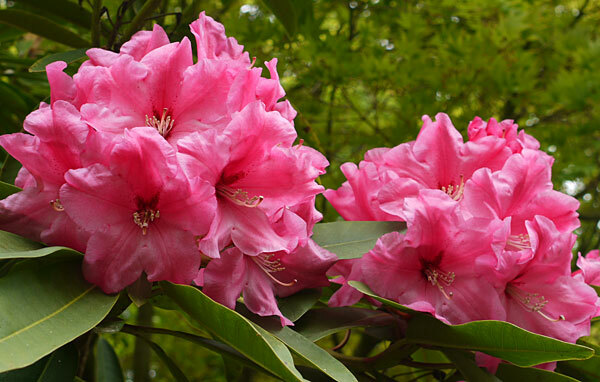 He loves rhododendrons, so he will have an artistic affinity with these majestic spring shrubs. Success! In his photographs Non-Gardening Partner has been far more respectful of the garden than I ever would be. In other words, he's stayed on the paths, and hasn't blundered off into the greenery to get a different angle. So I've been able to sit back and admire his results without worrying whether the camera has wobbled, or the lens has got dirt on it. Or that some precious little treasure has been trodden on. Allow me to present NGP's Mid-Season Collection. Enjoy!